Reverend Natalie Haig ARE YOU A VENDOR? 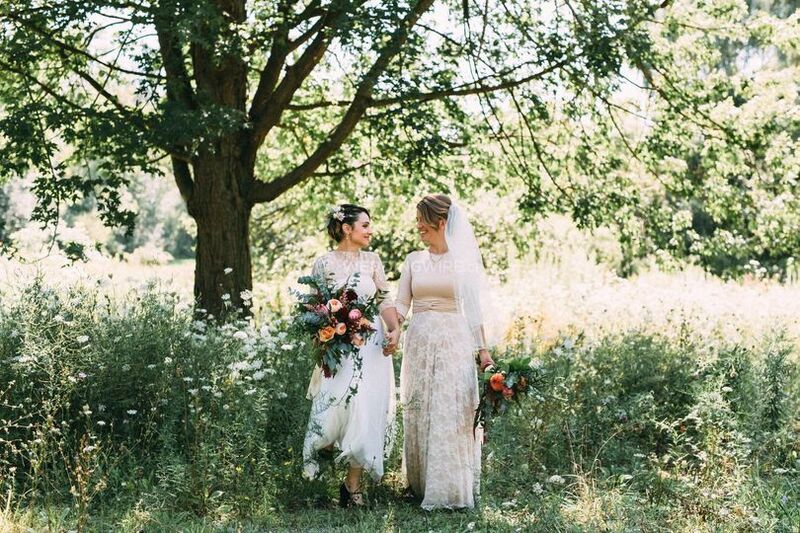 Reverend Natalie Espinosa Haig is a licensed and experienced wedding officiant who has performed weddings and other sacred unions all across Ontario since 2009. 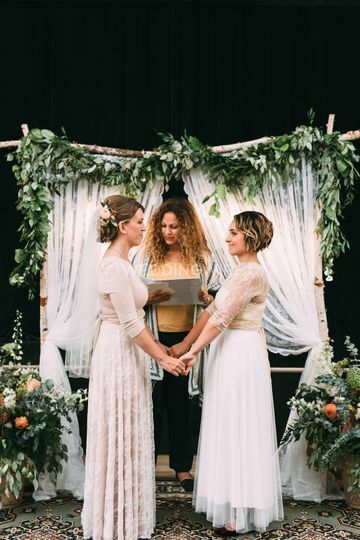 Be it an interfaith wedding or an LGBTQ one, she has done them all. She's highly understanding and compassionate and she'll make sure to keep you calm throughout the process, especially on the wedding day. 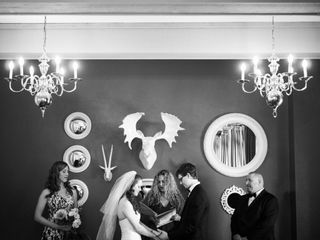 Personalized ceremony: it includes a complimentary meeting to create an absolutely unique and personal ceremony for you. The essential ceremony: it includes a booklet filled with poems, readings and ceremony ideas and samples for you to browse. You may use these as idea generators, use them "as is" or mix and match to create the ceremony of your dreams. You have full control of the ceremony planning, and there will be no surprises, you will know exactlly what she will say. 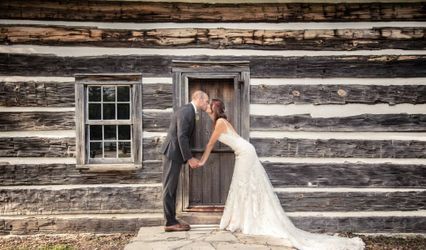 The elopement: ideal for a destination wedding; she'll personally take care of all your legal formalities and offer a completely personalized service. 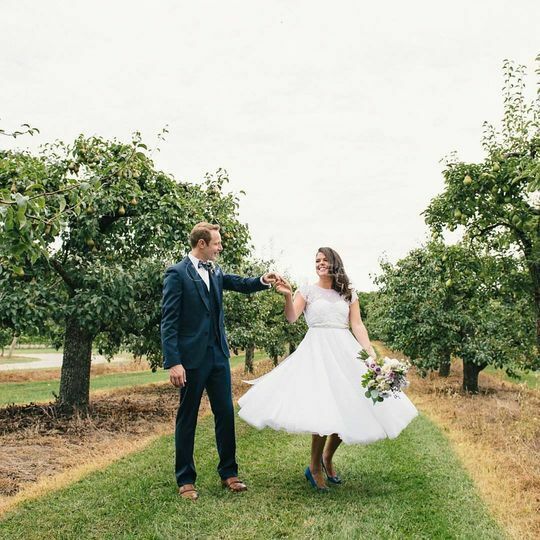 The rehearsal: Natalie will offer you a 75-minute wedding rehearsal (additional fee) at the venue with the wedding party so everyone knows what to do on the day of your wedding. 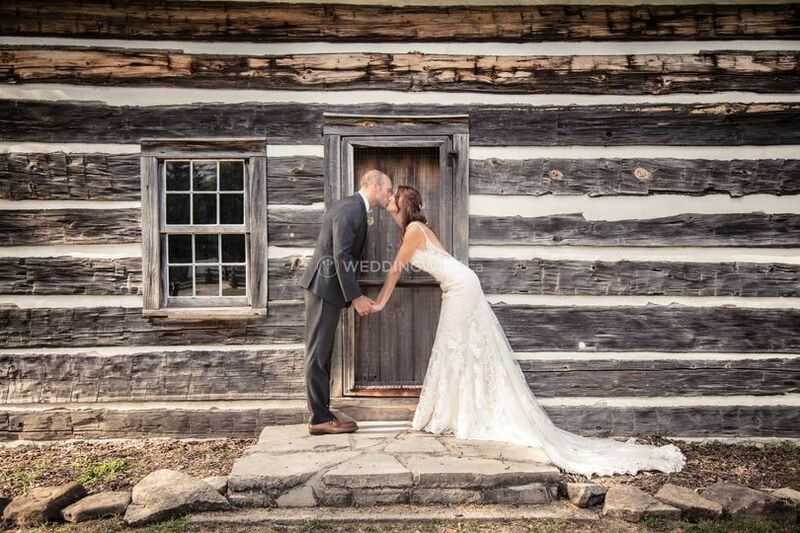 Natalie truly cares about her couples and is available throughout the entire wedding planning process. If you need to meet more then once, she is totally flexible and available for text messages, phone calls, and meet ups. Each of these packages include a free consultation to discuss your wedding plans and allow you to "get a feel" for her. This can be done in person or by Skype. 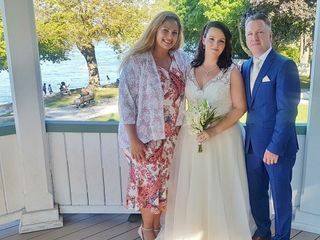 Reverend Natalie Haig doesn't only provide her services for weddings but she's also got experience in performing at many other special occasions and ceremonies including hand fasting, candle lighting and baby blessing. Apart from that, she also offers hypnosis, reiki and body balancing sessions to help you keep calm. Envision walking down the aisle to a custom live performance of your favourite song, composed especially for your wedding day. 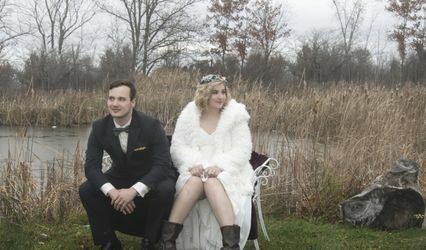 Natalie and Nico bring a cinematic touch to your ceremony through the integration of personalized live music. We were so thankful to have Reverend Natalie for our special day. Due to significant health reasons, we had to cancel our large wedding which was just a month away and ended up planning a small wedding within a week. Reverend Natalie was recommended to us, she was quick to respond and accommodating and compassionate towards our situation. 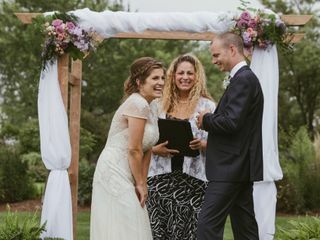 As we had very little time to plan anything, it was much appreciated how quickly Reverend Natalie was able to respond and keep in contact with us to help plan what we had envisioned. I opted to communicate with Natalie through email without meeting before our big day because of time constraints, so we met for the first time during our actual ceremony. 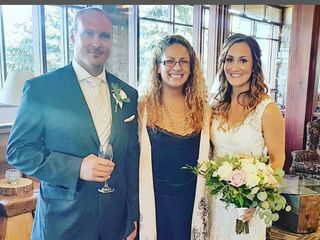 Both my husband and I felt like we had known her for a long time, she was so kind and performed a beautiful ceremony. I would highly recommend. Hello Emily, thank you so much for your kind review. Your wedding was truly an intimate loving experience to be apart of. You both are truly so beautiful, it was one of those ceremonies where I couldn't help but tear up. The health reasons are very significant and I am touched that I was able to be apart of your sacred ceremony. I am here if you ever need anything else. Such as someone to hold space, heal and support you both. You are not alone, even though we just met, I want you to know I am a phone call, e-mail or text away for spiritual and emotional support. Natalie was amazing. She is a natural! Her enthusiasm for the ceremonies really shows! She has a very calming, loving energy. As I reached the end of the isle, a big ball of nerves, tears and excitement, Natalie was there to greet me and calm me down! 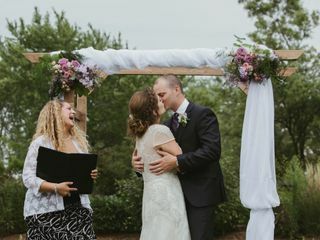 She did an amazing job in helping us achieve a unique and personal ceremony! I couldn’t have imagined our day without her. She truly is an amazing person with a genuine passion and talent for her job! We cannot thank her enough for being a part of our day! Thank you so much for your beautiful review. LOVED your dress, you are such a beautiful bride. 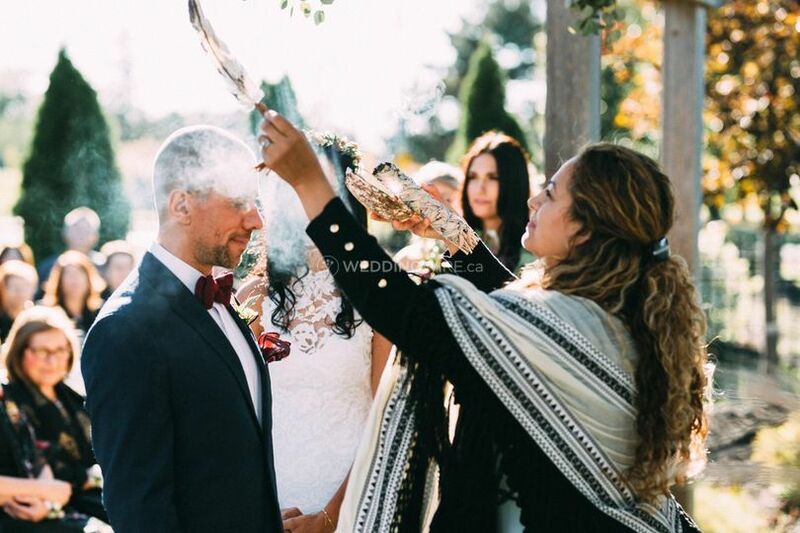 Love your custom ceremony too, the beautiful sage ceremony was so sacred. I loved how you both helped with keeping the flames burning. 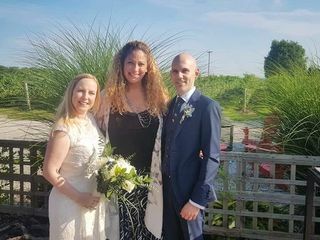 My new husband and I just got married and we had Natalie be our lovely officiant! She was so warm, personable and very professional! She let us pick and choose our ceremony type and did exactly what we requested! I would highly recommend Natalie to officiate your wedding. She is the sweetest! It truly was a pleasure to be apart of your sacred day. Loved the sage ceremony too. Thank you so much for inviting me to stay for dinner. I don't usually do this. But felt so comfortable with you both. It was so sweet to connect with a few of your family members. I loved hearing what your friends and family said about you both. Witnessing all the love was truly so magical. Natalie was an absolute pleasure to work with! Our wedding ceremony was beautiful and emotional. She took the time to get to know us and our family, she answered all our questions leading up to the big day. We couldn’t have asked for anything better. Our experience was 100% perfect with her. We would highly recommend her to anyone. 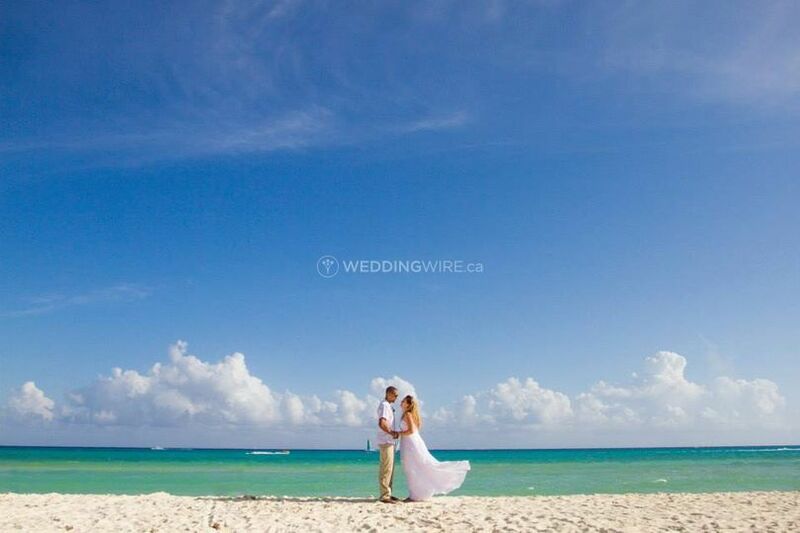 Thanks so much for your kind review, your wedding was so beautiful. 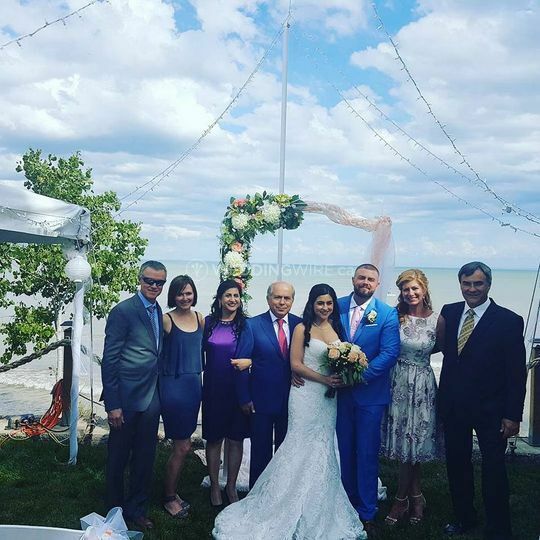 I loved combining your families together with the sand ceremony. It is always so nice to see children being involved in the wedding. 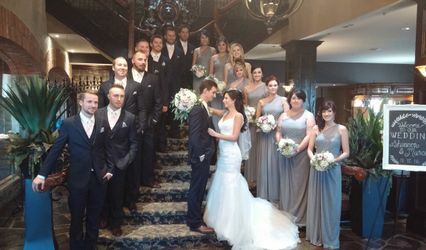 It truly was a pleasure to be apart of your special day, wishing you lots of love and happiness. Rev. Natalie was the perfect officiant for us. Right from the moment of our first Skype meeting with her we were sure she was absolutely the right fit for us. She radiates positivity and you can just tell she loves celebrating love. 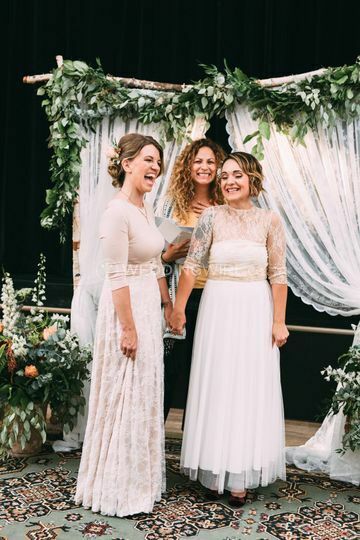 We loved that she gave us complete freedom to make our ceremony exactly as we wanted it. 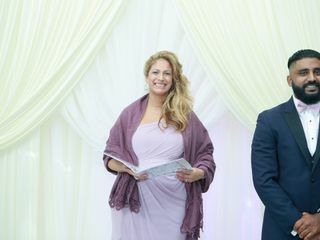 The day of the wedding my fiance was super anxious about being the centre of attention and she was amazingly supportive and not only helped him get through everything but made it so he was able to relax and enjoy this special time. We can't thank her enough!!!! Thank you so much for letting me be apart of your special day! I love how you involved your dog in your ceremony! 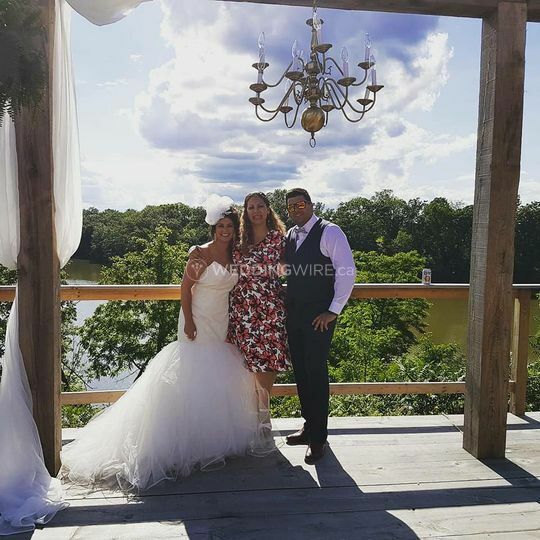 Your wedding was picture perfect! The breaking of the glass, jewish tradition was so awesome to witness, I never did that in a ceremony before. This is why I love giving my couples FULL CONTROL. Because it is always different and new for me, and you can have your Fairytale wedding YOUR way! It was an honour to help you both in any way I can. I am all about supporting my couples, because if you don't feel comfortable before the ceremony then you can't enjoy it. I am so glad I was able to help him right before he walked down the isle! Sending you both lots of love and thanks again for the review!